LODD – Warrenton Vol. Fire Co.
Born July 6th, 1978, he joined the WVFC in October of 1994 and became a very active and lively member as soon as he was voted in. For those that remember him, his bright and fun personality was infectious. 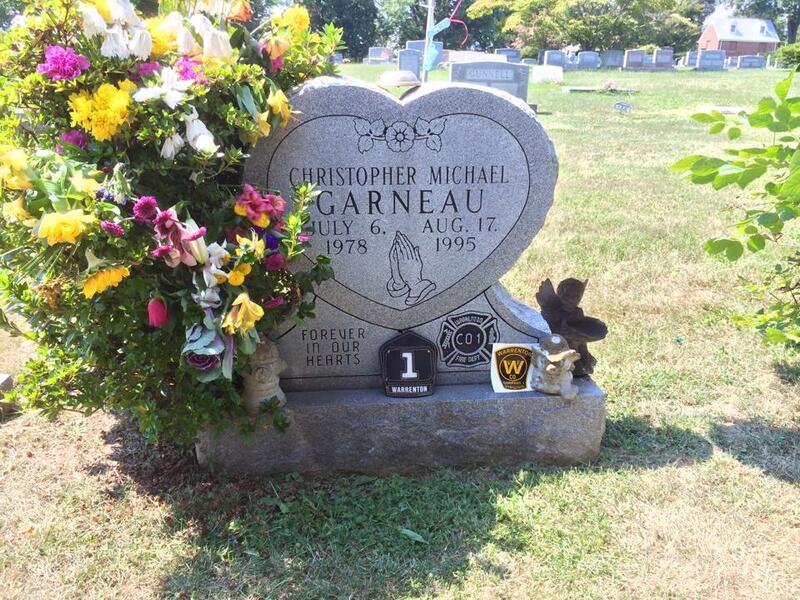 Chris died at the fire station on August 17th, 1995 while donning his PPE and preparing to run a call. He suffered a fatal cardiovascular event at his gear locker and passed away immediately. This tragic event was considered a LODD (Line of Duty Death) which was honored with a traditional fire department funeral along with full family assistance. The United States Fire Administration (USFA) which tracks LODD’s, has this documented in their report for that year, click here. Please take time to remember Chris who made the ultimate sacrifice to better serve our community. Chris’s Final resting place is in the Warrenton Cemetery.